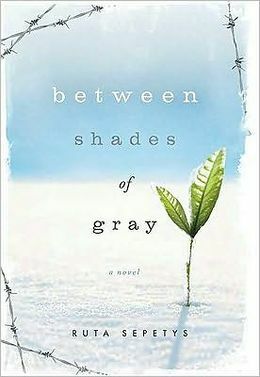 Between Shades of Gray by Ruta Sepetys is a hauntingly beautiful tale that shows a different side of the Holocaust. Lina is a fifteen-year-old Lithuanian girl, whose world is thrown upside down the night Soviet officers march into her home and tear her family apart. Separated from her father, Lina, her mother, and her young brother, are shoved into train cars like cattle, and shipped to a Siberian work camp. Trying not to lose herself, Lina keeps what little of herself she has left (that hasn’t been stripped away by the work camp officers) by drawing. She has always loved art and makes drawings, leaving tiny clues within the pictures, secretly passing them along, hoping they will make it back to her father. Life in the camps put Lina and her family through many trials, their character literally being stamped out of them under Soviet boots. You will find yourself rooting for Lina throughout the narrative, praying she will make it out of this ordeal with a strong since of self. Between Shades of Gray is an astounding read, shedding light on a different side to the Holocaust than the one we are taught in history class, and helping to open our eyes to the fact that it wasn’t only the Jews who were prosecuted and thrown in concentration camps. This story reminds you how to hope.